"Beekeeping and Management" will be part of the two-day UC Davis School of Veterinary Medicine's 2019 winter conference presented by its Center for Continuing Education in February 2019. The conference, covering several vet med topics or tracks, is set for Saturday and Sunday, Feb. 9-10. 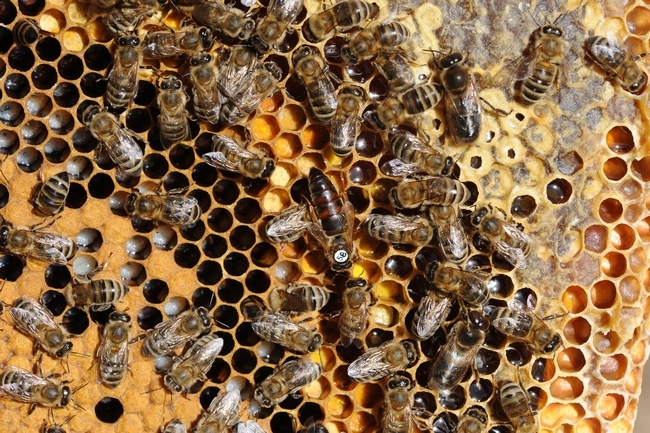 The beekeeping portion is on Sunday morning, Feb. 10. 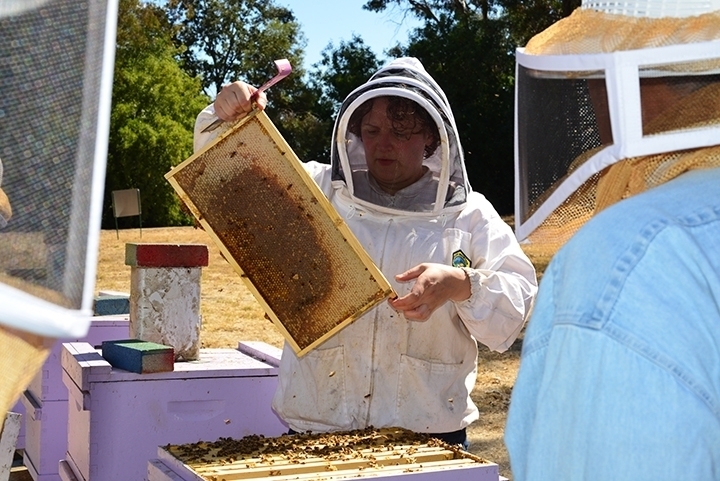 California Extension apiculturist Elina Lastro Niño, based in the UC Davis Department of Entomology and Nematology, will present the three seminars dealing with "Beekeeping and Management" in the Gladys Valley Hall, UC Davis School of Veterinary Medicine. 8:10 to 9 a.m.: "Honey Bee Biology and Apiculture Overview"
9:10 to 10 a.m.: "Common Issues in American Apiaries"
10:30 to 11:20 a.m.: "Honey Bee Bacterial Diseases and Antiobiotic Use"
Special pricing for those interested in attending only the "beekeeping track" is available, announced Saundra Wais, program manager for the Center for Continuing Professional Education. The onsite fee for this section is $45. A live webinar option is available for $40 for those who cannot be on campus, she said. Several other tracks are scheduled, including Doctor of Veterinary Medicine (DVM), Veterinary Technician (Vet Tech), Feline Dentistry Lab, and Food Animal Reproduction and Medicine (FARM) Club. Some 20 speakers are planned. Further information, including pricing and registration fees, is available on the Center for Continuing Education site or by contacting Wais at sjwais@ucdavis.edu or (530) 752-3905.